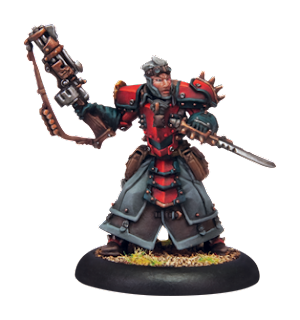 So apparently over on Privateer Press' web site they have some rules leaks for this new Khadorian Warcaster Kommander Strakhov. Here is what the grape vine is saying and by grapevine I mean Jack Frost! The Original post can be found here. when friendly faction model(a) charges another model (b) while that model (b) is in strakhov's control area....+7 total charge :P...jacks in his battlegroup can charge and slam without spending focus. battlegroup model makes a kill another model in battlegroup makes full advance..expire. like counter charge, but no range necessary and may shoot at enemy model. ~So take what you will from this but the book is right around the corner (next week in fact). If these rumors are true then we should see a little speed boost in Khador's bag of tricks this time around! What do you guys think?